RENTING 6 BEDROOMS AT A LOWER RATE OF THIS 9 BEDROOM MANSION - For a total of 9 bedrooms, 3 levels - Each floor has 3 luxury bedrooms and each level has its own kitchen - for a grand total of 9 bedrooms - Fantastic for large family reunions or large groups that would like to stay together. This villa is over 12,000 sq feet with 9 bedrooms of indoor and outdoor living. This mansion can be rented as a 4,5 6,7,8,9 bedroom level which give you more flexible bedroom options. 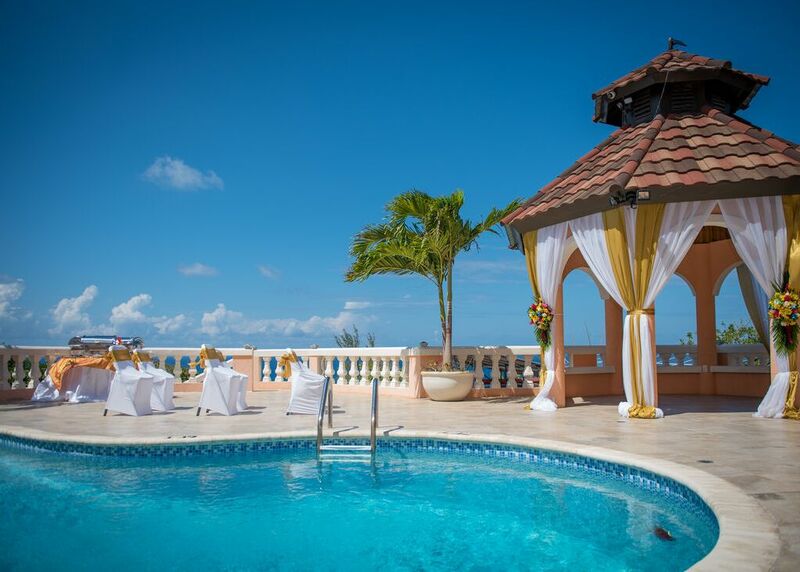 With five-star comforts and amenities, breathtaking views, on-call staff, and three floors, each comprised of approximately 4,000 square feet of living space, this new luxury villa is quickly establishing itself as a gem of Jamaica.